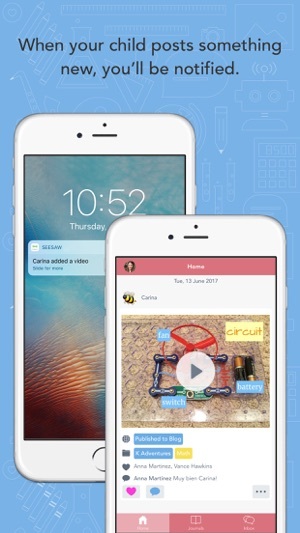 ∙ Check out what your child is doing, wherever you are! ∙ View posts on a calendar or sort by folders. 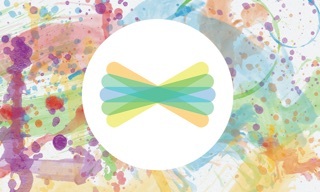 Seesaw Gives me a “peek” into my 2nd grader’s school day. From photos of her journaling assignments to videos of her presentations, it’s a wonderful (and easy) way for me, but also grandparents, uncles, aunts,, etc to be a part of her school day. I am able to “love “ and/or comment on the pictures, there is a zoom option (which makes reading assignments on my phone much easier), and a section where teachers can send out a notification that might be urgent (such as, we are closing early for snow!). I am very pleased with this app so far. I am a private tutor. 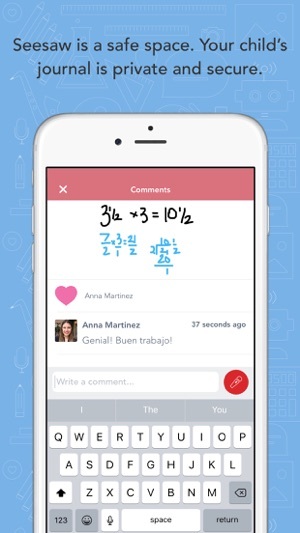 I use this app multiple times a day with all of my students. There are so many features that I like about this app. It has been a great way to go paperless and to communicate with my parents. I have the parents post videos and pictures of the homework I assign. 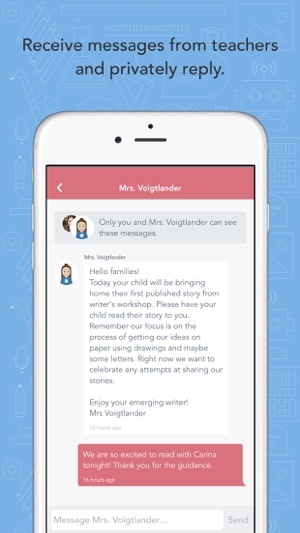 In order to do this they have to download the class app and the family app. There needs to be a way to integrate all of this into one app. Having two apps makes the first week of setup really confusing for parents. It would be much more convenient if all of the features were combined into one app. 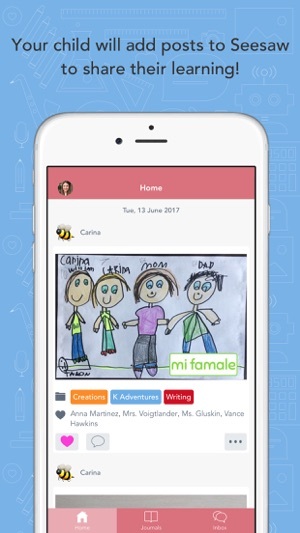 Unfortunately this app is basically Facebook for elementary school children, closely mimicking the Facebook feed and even offering little kids the ability to Like and comment on each others’ posts. I don’t want my kids’ school sending a message that social media usage is positive and should be embraced when in fact evidence shows it can be detrimental to the emotional well being of young people. 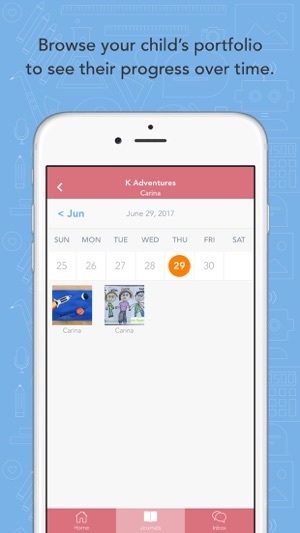 No thanks, I asked my son’s teacher to opt him out of using this app.